Smartwool socks are my go-to hiking sock. They’re comfortable, durable, wick away moisture, are lightweight, and have some pretty cute patterns available. Everything a girl spending time outdoors needs and wants! Made from Merino wool, they are a little more expensive than the standard 6 pack of socks you’ll find at your local Wal-Mart or Target, but one pair of these socks will outlast all six of the other brand. My point? They’re worth it. 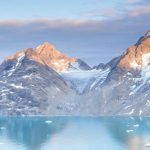 What is Merino wool and what makes it so special? Merino wool has exceptionally fine fibers, which make it the softest wool available, enabling the fibers to bend far more than your standard coarser wool. Wool is also a great insulator, can absorb a high amount of moisture (unlike cotton socks) meaning it dries much more quickly, and wool fibers also naturally have antibacterial properties making them odor resistant. So what does this mean for you? When it’s cold out your feet will stay toasty and when it’s warm out they will stay breathable. Wool can hold up to a third of it’s weight in moisture before feeling wet to the touch, meaning your feet will feel dry even when they sweat. And due to it’s natural odor resistant fibers, you can wear and re-wear your Smartwool socks multiple times before needing to wash them. Practicality meets comfort? Yes please! 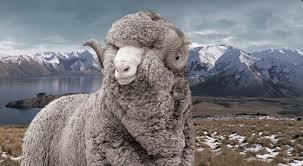 Fun Fact for my environmentalists out there – Much like our own human hair, Merino wool is made out of Keratin and is completely biodegradable. Eventually, when it is disposed of it will break down, releasing vital nutrients back into the soil as it decomposes, acting like a fertilizer. Smartwool has socks for running, hiking, biking, hanging out around the house, everyday wear, business attire, etc. If you’ve got the outfit, they’ve got the sock to match! Check out these Smartwool Socks, and keep in mind that they are all available in a variety of color options! Did you see a pair that caught your eye? Check out all the whacky colors, designs, and patterns? Let’s say you’ve found yourself a new favorite pair of Smartwool socks – cool in the summer, warm in the winter, shin high, ankle length, or no show – now what? Let’s be sure you know how to properly wash and dry your Smartwool socks. 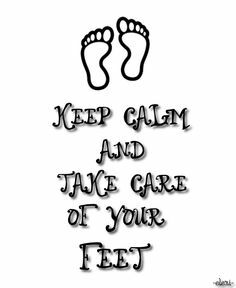 They will take care of your feet for years if you take care of them! How to wash wool socks? Machine wash on gentle cycle in warm or cool water. Use mild soap; no bleach or fabric softener. You can absolutely hand-wash your Smartwool socks and let them air dry, in fact this is the preferred method. 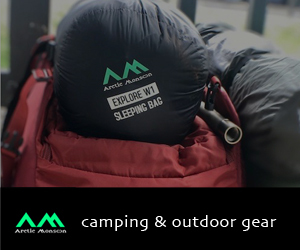 It’s how I’ve taken care of several pairs of mine while out traveling abroad, either camping or staying in hostels. Smartwool makes everything easy-peasy! Do you own a pair of Smartwool socks? What are your thoughts? Do you have a favorite? Share them in the comment section below, I’d love to hear from you! MooseJaw Sale! – And Why I’m Diggin’ it! Glad to see ya back, Justin! Super agree with your statement, “Happy feet are the secret to staying out on the trail” – no doubt! The odor resistant is a must for me, I don’t always have the time to wash my socks and lay them out under the sun to dry! I absolutely love these socks! They are cute and the way they are shaped makes it look as if they won’t fall half way down your foot when your half way through your hike. I do have one concern for all the vegans of the world, are the animals hurt when making these? Just curious. As always though, I love your articles and can’t wait to read more. Nope! No harm to the animals! Just the usual sheering 🙂 They fit snugly and comfortably, so no slippage! Thanks for reading and sharing, as always it’s great to hear from you! Very interesting. I actually did not have any knowledge of Merino wool. What is really impressive about wool is that it can hold up to a third of its weight before feeling wet to the touch. I actually like the first pair, I think they look really cool. Thanks for sharing. If “Cushiony” isn’t a word, it should be! I don’t ever get blisters with mine either, and I find that if people do, it’s not the sock’s fault but the fit of the shoes/boots. Thanks for sharing!